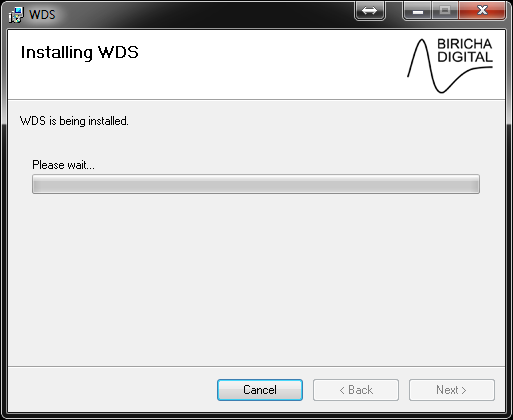 Go to www.biricha.com/wds and download WDS. After downloading the WDS setup files, extract the zip and run "setup.exe". You may recieve a warning from Windows - click "Run" to proceed. 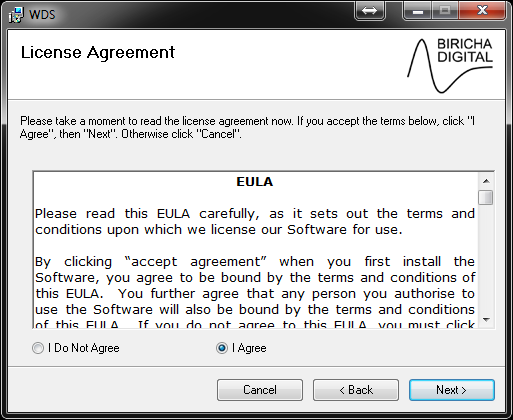 Please read the end-user license agreement (EULA) carefully. If you agree with the terms, select "I Agree" and click "Next" to continue. 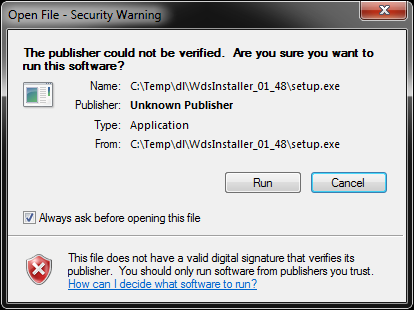 If you do not agree with the terms of the EULA then you should not proceed with the installation. 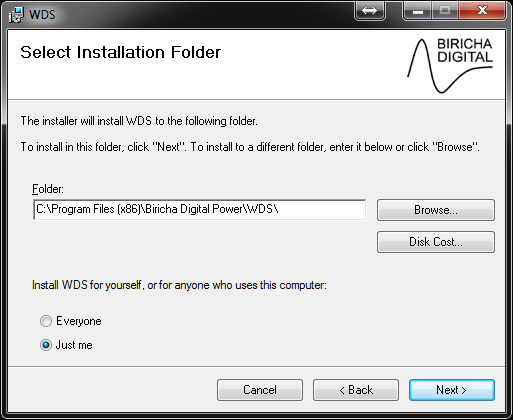 Select the installation folder for WDS. The default installation folder is your "Program Files" directory. Click "Next" to continue. You may receive a message about User Account Control from Windows, if so, click "Yes" to proceed with the installation. The installation is now complete. 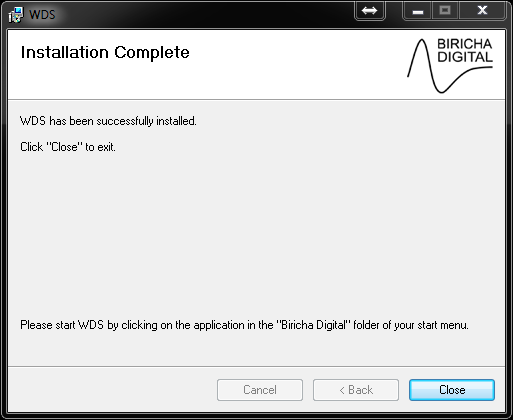 Click "Close" to exit the installer. If you have an activation code, then got to Help -> License and then paste your activation code into the relevant box. This will activate WDS. 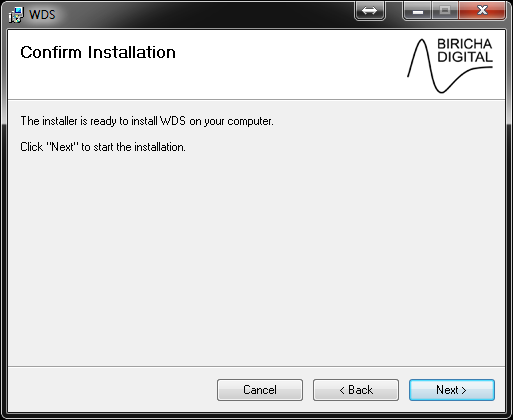 If you do not have an activation code then WDS will run in trial mode. Under trial mode you have fill access to all functions of WDS; the only limitation is that the input and output voltages are locked. 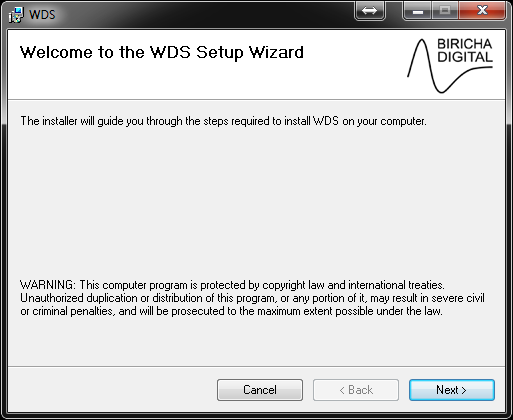 In future, if your license file permits, WDS will prompt you when updates are available. Please ensure that you always update to the latest version.